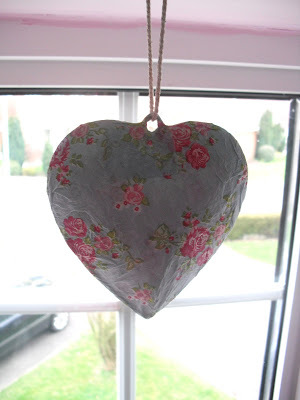 I decorated this little floral heart hanging last summer, and I love it, so I thought I would show you how I did it. 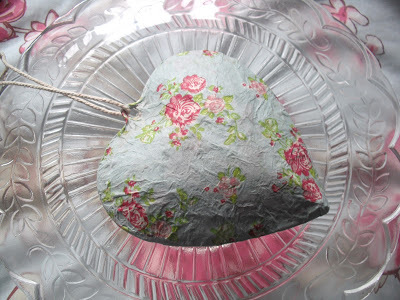 I had a little tin heart hanging, which you can buy from various little gift shops or ebay for about £3. 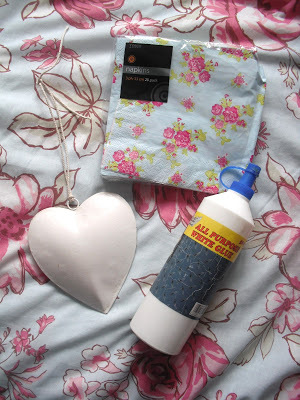 You also need some PVA glue, pretty tissue paper, and a paint brush. My tissue paper is just napkins from Tesco. i think i may steal this off you. Wow that's such a good idea! It looks great!